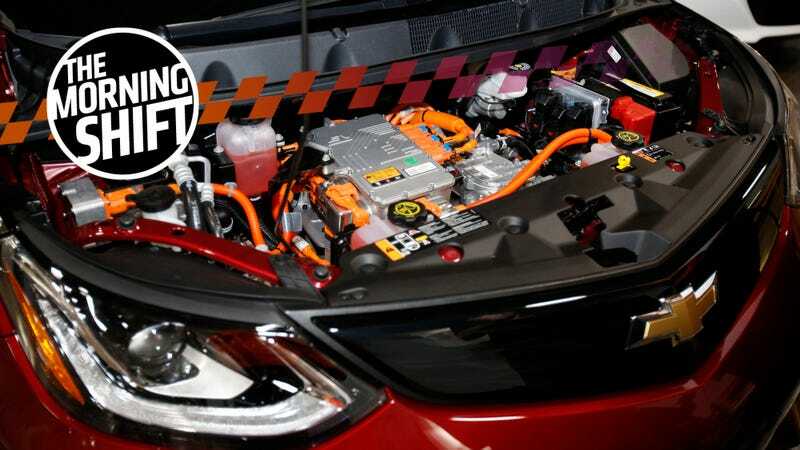 General Motors invests a lot more in domestic electric vehicle production and hopefully takes the heat off, the United Auto Workers union has another potential scandal on its hands, Ford hires a former Silicon Valley financial guru and much more for The Morning Shift of Friday, March 22, 2019. General Motors has been catching a lot of flak from President Trump for closing the Lordstown, Ohio plant, which made Chevrolet Cruzes, which no one bought. Still, Ohio came up big for Trump in 2016, and if he is to win another four years, he’ll likely need Ohio in his corner again. Factory closings as production shifts abroad will not help his case. So it is particularly noteworthy that, in the face of all his Twitter sniping, GM is expected to announce a $300 million investment in the Orion, Michigan plant to ramp up domestic EV manufacturing, according to Automotive News. That’s the plant where it builds the Chevrolet Bolt, and it should also announce plans to build “a new electric compact vehicle for Chevrolet.” I’m willing to bet it’s a crossover this time. In addition, GM will formally endorse the new trade agreement between Mexico, Canada, and the United States, which will replace the North American Free Trade Agreement (NAFTA), another potential re-election item of concern for Trump. At any rate, it’s good news for American workers, and it shows GM is putting its money where its mouth is about EVs. Before I get to what the feds are investigating the UAW for actually using the flower funds for, you may be asking: what are flower funds? Flower funds were created initially to pool voluntary contributions from union members for funeral flowers and to finance union election campaigns. Mmhm, mmhm, nothing weird about a pot of money earmarked for funeral flowers and re-election campaigns, two very similar types of goods and/or services. Federal agents are investigating whether senior United Auto Workers staff were forced to contribute money to funds originally established to buy flowers for auto workers’ funerals, and whether union executives pocketed the cash, The Detroit News has learned. As the article details, flower funds have a long history of being slush funds for union executive luxuries, a totally unpredictable outcome of the stated purpose of a fund being the heart-tugging flowers for funerals but the actual purpose being re-election campaigns. So, add this investigation to pile of the growing list of investigations and/or convictions into UAW corruption. With Ford and GM both downsizing and the UAW gearing up for a battle against the former in upcoming labor negotiations, this is hardly the best time to be in the news for misappropriating funds meant to pay for funeral flowers. Then again, is there ever a good time for that? Although Snapchat has struggled as a public company and Stone rubbed shoulders with the 20-something billionaire who ran it, he was previously CFO of Amazon Web Services, otherwise known as The Part of Amazon That Makes All The Money. Economist Jon Gabrielsen, who advises auto companies and suppliers, voiced concern. The decision to tap a CFO who most recently worked in social media marks a significant shift, said David Kudla, CEO and chief investment strategist with Mainstay Capital Management, a Grand Blanc investment adviser managing $2.5 billion in assets. I might humbly suggest it’s less important what general sector of the economy someone worked in and more important about their particular personality and skillset. In am email to employees, Elon Musk told Tesla employees that vehicle deliveries are the most important thing over the next 10 days that round out the financial quarter, Reuters reports. This comes on the heels of Tesla asking workers to volunteer to deliver 30,000 cars by the end of the quarter. Some other things Tesla did recently: announce they were going to close all their stores then announce they weren’t and then slash retail employee compensation in a move apparently geared to coax resignations instead of having to lay people off. But, sure, any “help” from employees is appreciated. The hope is the charging mechanism will be efficient enough that the taxis can be charged while they’re waiting in queues to pick up passengers at high-traffic locations. That’s smart! Neutral: Hiring Executives From Outside the Industry? Do you think it’s a good thing when an established automaker hires an executive from outside the industry? Is the learning curve for someone coming from, say, the tech sector too steep? Or does this business need more outside perspectives?